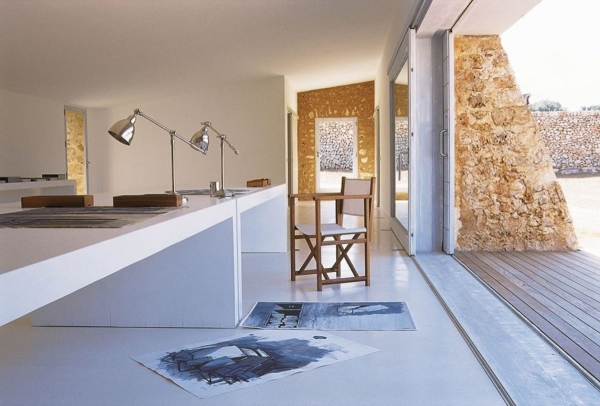 This renovated house in Mallorca is absolutely gorgeous. The doors are beautiful and interesting, setting the tone for this lovely home. 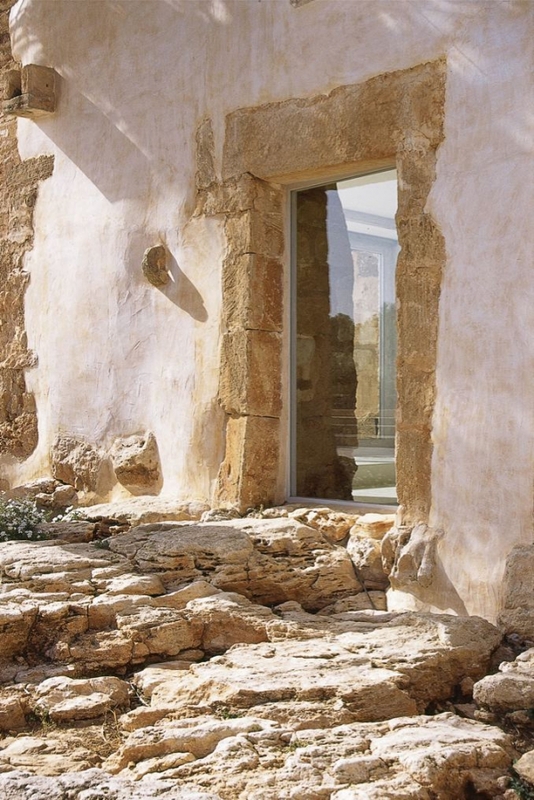 The use of stone in this entrance is fascinating, it creates a sort of walkway. A little seating area is formed using cushions and pillows, adding a laid-back feel to the home. We love the large window and the small square window. The bedroom continues the white and brown theme seen in the other areas of the home. Beams adorn the ceiling and a dark sculpture and a lamp, decorate and add a little bit of contrast to the space. The contrast is kept within the color theme, keeping the design cohesive. The bedding is just perfect. This bedroom is delightful. The fantastic floors add wonderful texture to the space, and patio doors provide easy outdoor access and a lot of natural light. The furniture is awesome. 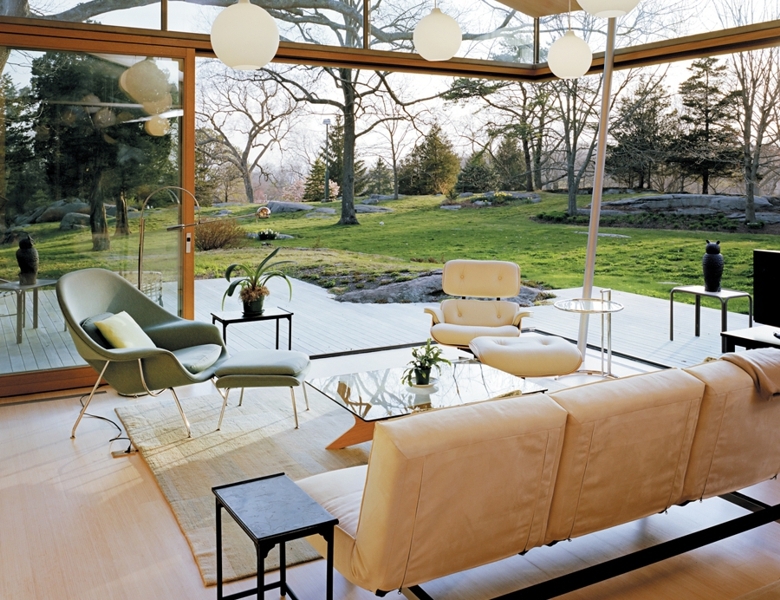 We adore that lounge chair. 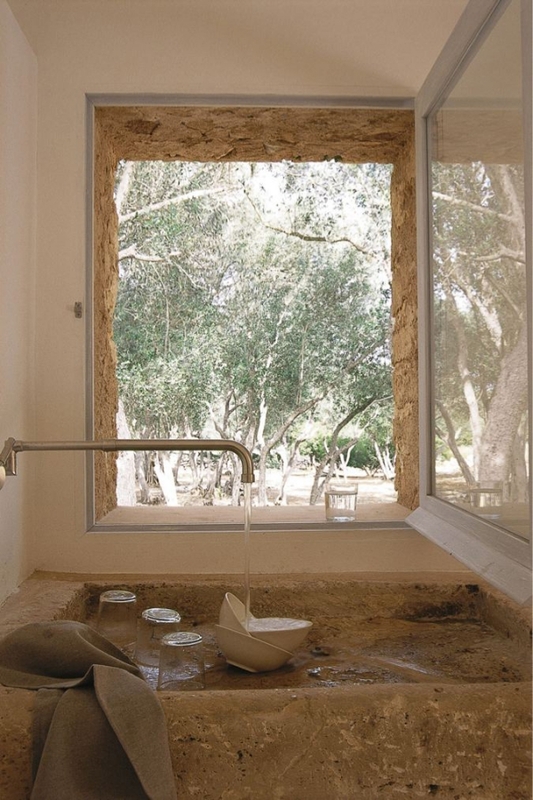 The stone sink creates an interesting and unique design, and adds even more earthiness to this renovated house. We love the way the window is set back away from the exterior, creating a fantastic little shelf. The fixtures are sleek, bringing a modern touch to the design. A magnificent indoor/outdoor experience. This is such a perfect art studio. The kitchen in this renovated house has a long stainless steel island sitting in the center. 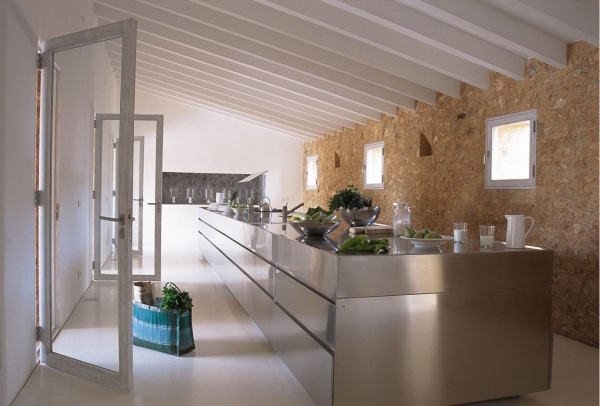 The relationship between the stainless steel, the stone, and the white is gorgeous. 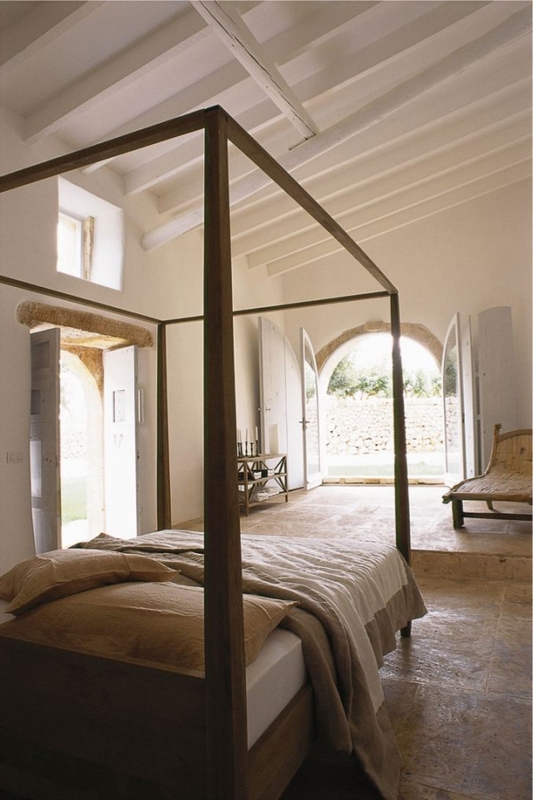 Wooden beams adorn the ceiling, adding even more interest to this outstanding design. The exterior is phenomenal: so much beautiful stone. In the outdoor space, a large rectangular pool creates a fantastic focal point. 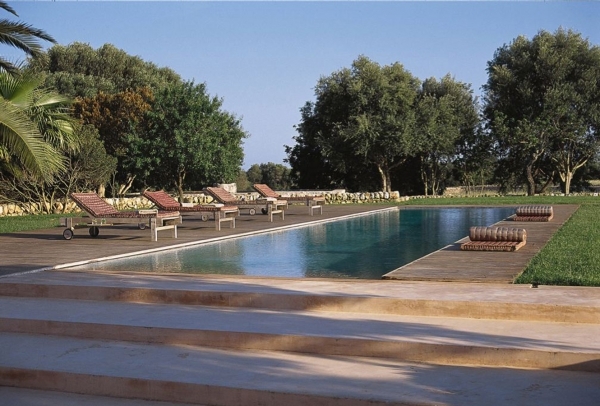 Rolling lounge chairs line one side of the pool, fashioning a relaxing sunbathing area. Lush trees bring a lot of liveliness and a beautiful green color to the exterior of this renovated house.